This is a very unusual cover. 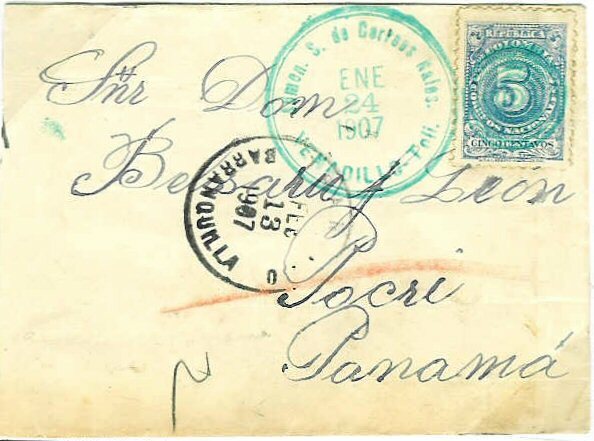 It is the earliest recorded cover from Vanadillo, a small village in the Departmant of Tolima located between Ambalema and the Departmental capital Ibague, which was still served by a departmental postal route in 1907. There are two villages name Pocri in Panama, one near Aguadulce and the other near Las Tablas. 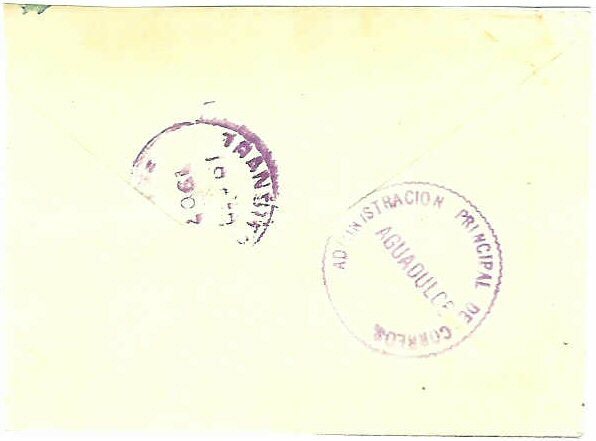 The transit mark shows this was sent to the village near Aguadulce. This is the only recorded incoming cover to the village thru 1979.